If you're a Nikon or Canon shooter and really, really want a mirrorless camera, Eric Rossi has a solution for you that's quick, easy, and free. 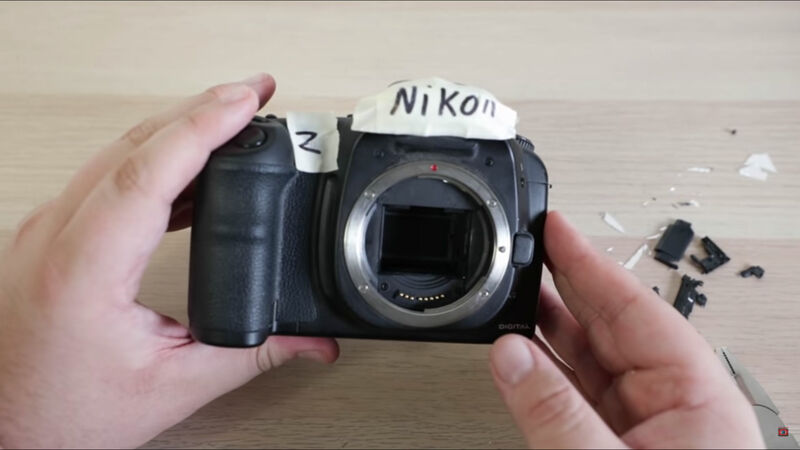 In the short video above, you can watch Eric convert a DSLR to a mirrorless camera in no time. 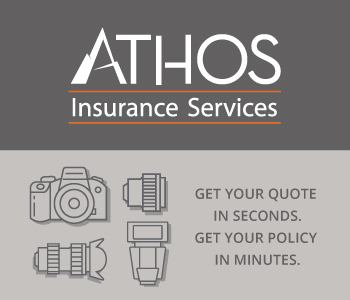 Editor's Tip: Not sure how to use your lens properly? Learn what all the markings on your lens mean. 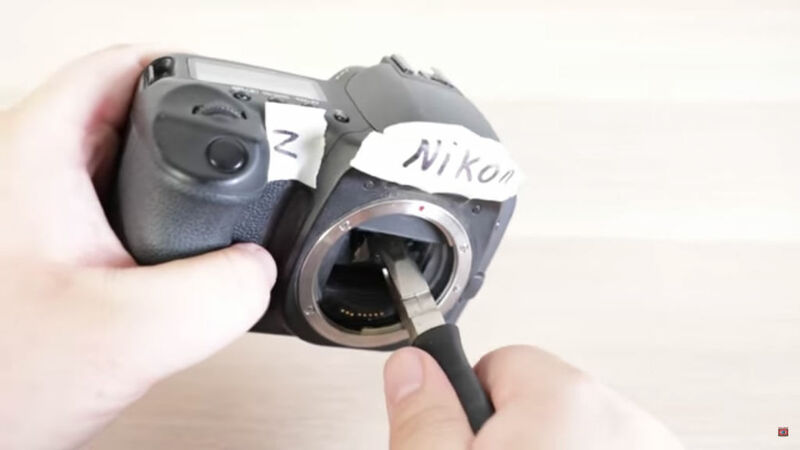 Interested in this photography hack? Rossi shows "you how to DIY and hack it yourself." "Be very careful of how you approach doing this," he continues. "You may cause some damage, so please follow my tutorial step-by-step." With his surgeon-like steady hands, Rossi proceeds to remove the DSLR's mirror with a pair of pliers. Though the mirror shatters into a million pieces, Rossi notes that "you're getting rid of it anyway," so just tap the back of the camera to get all the mirror pieces to fall out. "You can still go around using your Nikon or Canon camera effectively but getting all the pro results of being a mirrorless camera," Rossi points out with pride. 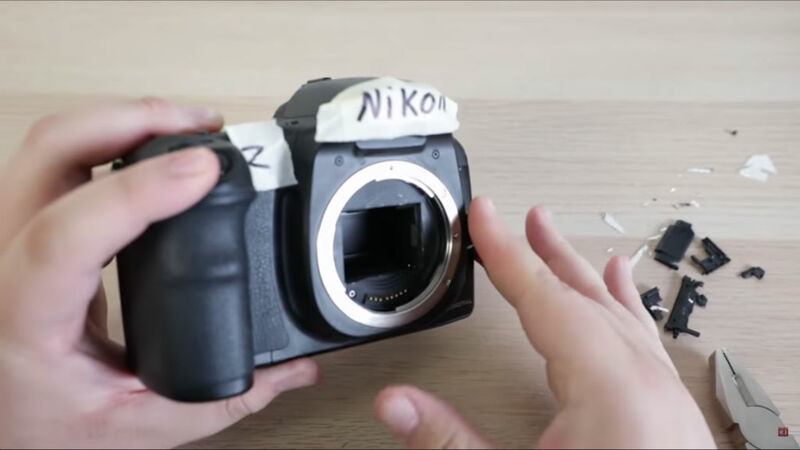 As he mentions in the video, the advantage of going mirrorless is that you no longer have to listen to the thwack of the camera's mirror slapping up and down. Plus, you get the advantage of shooting mirrorless without spending a dime. Nice! Of course, this whole thing is a charade and done tongue in cheek, so in case Eric's sarcasm went over your head, do not do this under any circumstances!